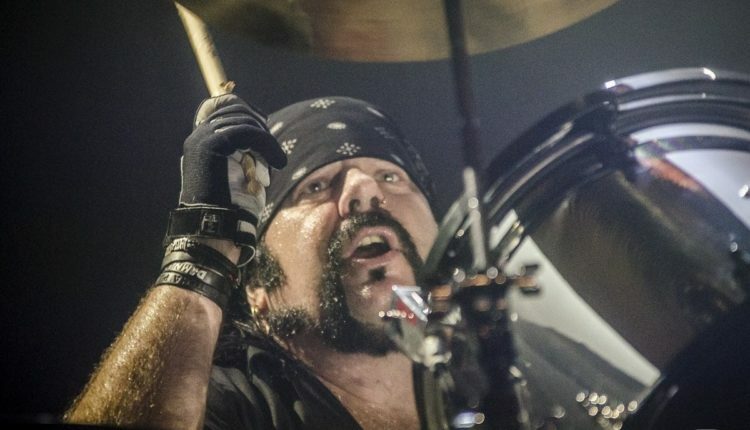 Metal fans everywhere feel a dagger in their hearts, and a pit in their stomachs’ with the recent news of legendary stick man Vinnie Paul Abbott being found dead in Las Vegas at the age of 54. No details about his death have been released. Paul co-founded one of metals’ most influential bands with his brother “Dimebag” Darrell in Pantera, before moving on with his brother in the band Damage Plan. Paul was currently playing behind the kit for HELLYEAH. Paul released seventeen studio albums during his career including 10 Pantera albums, 1 Damage Plan album, 1 Rebel Meets Rebel album, and 5 albums with HELLYEAH. Just so brokenhearted and in shock. I’m struggling to write this but we want to thank you all for your kind words and support in this tragic time. We don’t have much info to give you other than Vinnie is now with Dime and they are together in a better place. Sadness, shock, confusion, anger, despair. We feel it all together. Hug your loved ones and keep them close. Thank you all again for all your love. Vinnie will be and is greatly loved and missed but his music will live forever. Crank it loud today and scream to the heavens so he can hear you. Vincent Paul Abbott aka Vinnie Paul has passed away. 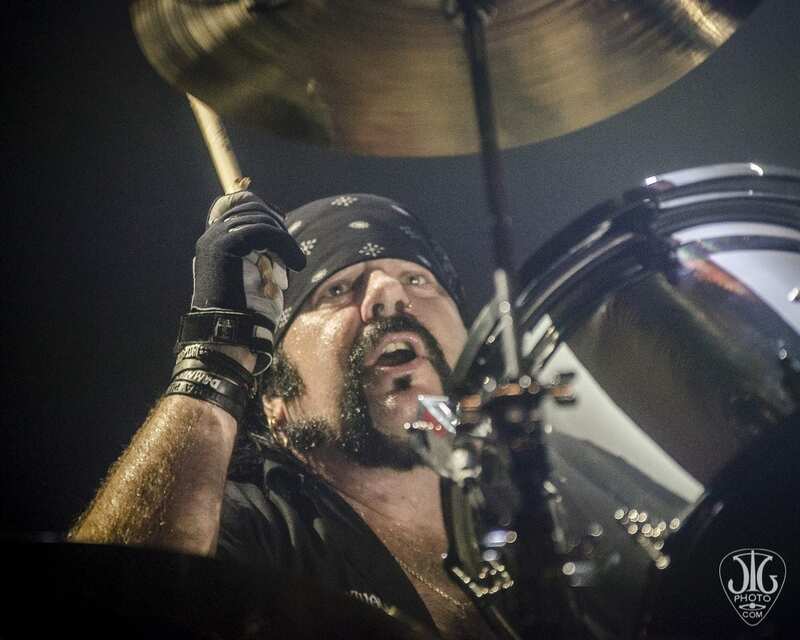 Paul is best known for his work as the drummer in the bands Pantera and Hellyeah. No further details are available at this time.The family requests you please respect their privacy during this time. Heartbroken friends and musicians have taken to social media to share their thoughts about Paul’s passing. Disturbed: Our deepest condolences go out to the friends, fans, family, and loved ones of our friend, Vinnie Paul. Our hearts are broken. Alice Cooper: Terribly saddened by the news of Vinnie Paul’s passing. Vinnie was a beloved fixture in the rock and metal communities and we will miss seeing him out on the road. His impact on heavy music is immeasurable. Rest In Peace Vinnie, condolences to your family, friends and fans. Slash: Tragic news about Vinnie Paul today. He was one of the warmest people I knew. A truly good & fun friend. We’re going to miss you more than you could possibly have known. RIP buddy. Corey Graves (WWE): Bummed to wake up to the news about Vinnie Paul. One of the greatest to ever play. Black Tooth Grins tonight in memoriam. Megadeth: We are deeply saddened to hear that our dear friend and brother, Vinnie Paul has passed away. Rest in Peace Vinnie, you will truly be missed and forever remembered. Grant Random: Just waking up in Portugal to the sad news of Vinnie Paul’s passing. He was a super nice guy and a massive talent. Such a huge loss. RIP Vinnie. Dee Snider: So sorry to hear about passing of Vinnie Paul. Such an incredible force & influence in metal. I remember literally stopping song “Becoming” 1st time I played it on radio, opening the mic & freaking out over his drumming on air. How many drummers make somebody do that? Chris Jericho: I need no # RIP for my friend. Vinnie Paul was my friend a brother. I miss him already. I’m honored and pleased to say that I had The pleasure to know. Thank you Vinnie and Sleep well my friend.